The extra workbook is full of exercises. In the first half of this extra workbook you will find tasks with the same themes as were dealt with in the workbook for Step 1. These serve not only as extra practice but also as revision. The second half of the workbook contains tasks of the type "Mix". That means that there is no hint as to the theme of the exercise, with the result that they are more like a real game. Solving exercises of this sort is difficult for those on Step 1. 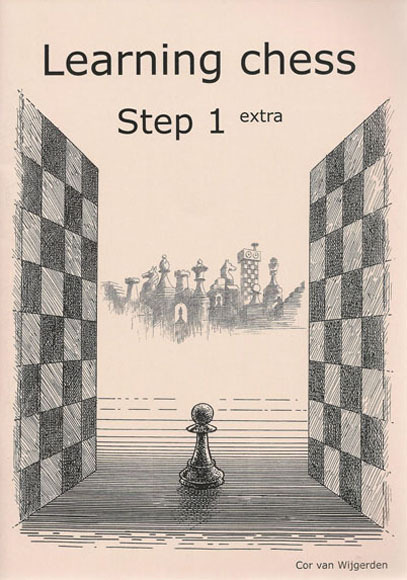 Fortunately the subjects of the exercises are restricted to themes dealt with in Step 1: winning material, delivering mate in one and defending. Is one of my pieces in danger?